This 3 Days Gorilla Safari takes you into the jungles of Bwindi Impenetrable Forest National Park to track the mountain gorillas. 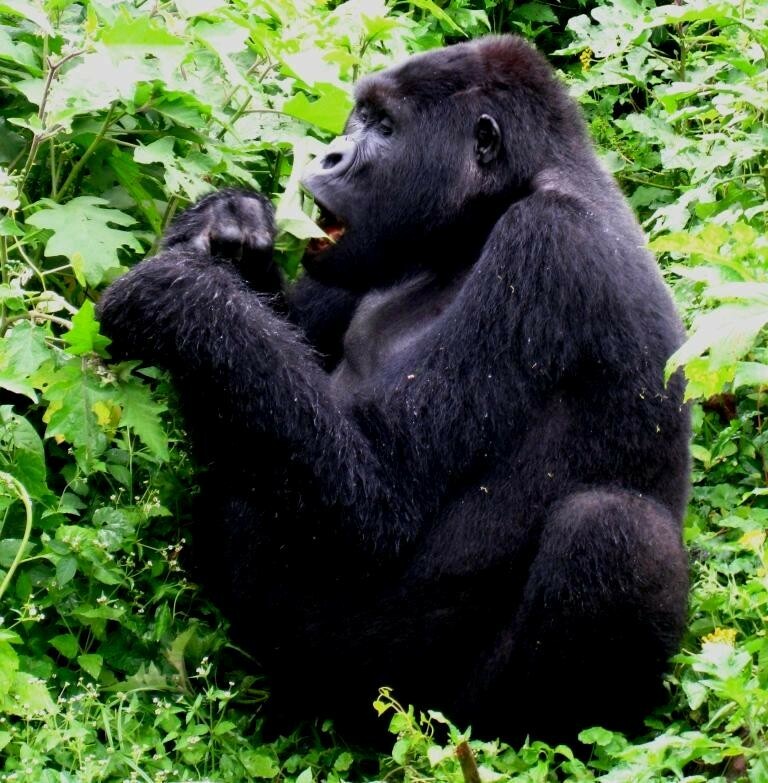 Bwindi Impenetrable National Park lies in southwestern Uganda on the edge of the Rift Valley. The “impenetrable forest” protects nearly more than half of the remaining mountain gorillas in the world and it is one of the best places to go gorilla trekking in Africa. In addition to seeing the mountain gorillas in Uganda, clients can engage in other adventure activities that include nature walks, forest walks, bird watching and local community tours. Day One: depart from Kampala early in the morning for Bwindi Impenetrable Forest to enjoy Mountain Gorilla Tracking / Trekking. After that return to park headquarters and depending on your level of energy as well as the time, have a village walk, to see traditional lifestyle of the locals, from brewing of the local beer to medicines made from this very forest. Performances of traditional dances plus other entertainment will be offered by the very sociable local people and all this is worth experiencing. Included : Accommodation for the 2 nights of your gorilla tour as indicated on programme, all meals (except breakfast on Day 1), 1 gorilla permit per person, sightseeing as noted in the trip itinerary, park fees, entry fees, ground transportation by a private 4WD vehicles, additional guides where appropriate. Excluded : Flight tickets and departure taxes, travel documentation (visas), travel and medical insurance, optional excursions, excess buggage charges, tips and gratiuties for your guides and accommodation staff, Laundry, beverages other than mineral water in the vehicle and at meal times with meals, -Items of a personal nature such as telephone calls, postage fees and so on.